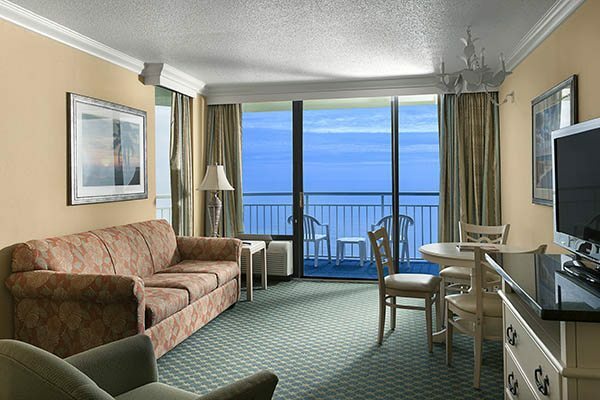 The upgraded hotel suites at Coral Beach provide value everywhere you look – from our spacious rooms to our scenic beachfront to our premier oceanfront location that puts you close to the action. It’s more than you’d expect and all that you would want in a family vacation at Myrtle Beach. … And so much more. The rooms and suites at Coral Beach are well-maintained and cozy enough to immediately settle in for a relaxing beach vacation.